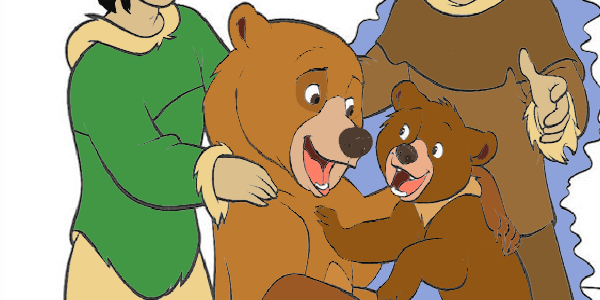 Brother Bear is a 2003 animated film produced by Walt Disney Feature Animation and released by Walt Disney Pictures, the forty-fourth animated feature in the Walt Disney Animated Classics. 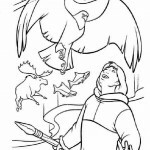 In the film, an Inuit boy pursues a bear in revenge for a battle that he provoked in which his oldest brother is killed. 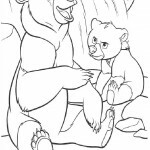 He tracks down the bear and kills it, but the Spirits, angered by this needless death, change the boy into a bear himself as punishment. 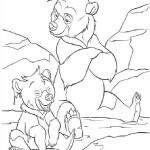 You can color this bear in our Brother Bear coloring pages. 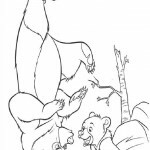 Originally titled Bears, it was the third and final Disney animated feature produced primarily by the Feature Animation studio at Disney-MGM Studios in Orlando, Florida; the studio was shut down in March 2004, not long after the release of this film in favor of computer animated features. The film received an Academy Award nomination for Best Animated Feature, but lost against Finding Nemo. 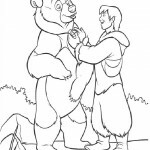 A sequel, Brother Bear 2 was released on August 29, 2006. 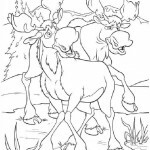 The film is set in a post-ice age North America, where the local tribesmen believe all creatures are created through the Spirits, who are said to appear in the form of an aurora. 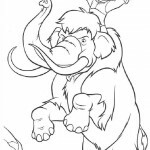 Three brothers, Kenai, Denahi and Sitka, return to their tribe in order for Kenai to receive his sacred totem, its meaning being what he must achieve to call himself a man. 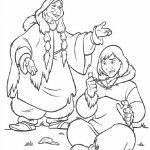 Unlike Sitka, who gained the eagle of guidance, and Denahi who gained the wolf of wisdom, Kenai receives the bear of love, much to his objections, stating that bears are thieves. 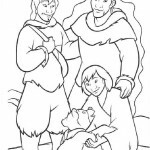 You can find coloring pages of these 3 brothers in our Brother Bear coloring pages. 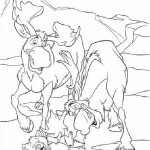 His point is made a fact when a bear steals some salmon. 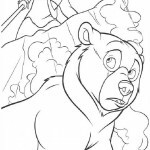 Kenai and his brothers pursue the bear, but a fight follows on an glacier, Sitka giving his life to save his brothers, although the bear survives. 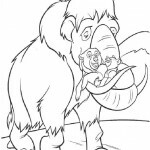 Vengeful, Kenai heads out to avenge Sitka. 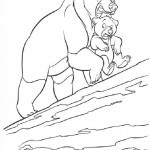 He chases the bear up onto a mountain and kills it, unaware that the mountain is where the Spirits make contact with the Earth. 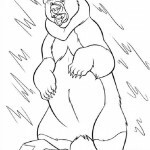 The Spirits, represented by Sitka’s spirit in the form of a bald eagle, transforms Kenai into a bear. 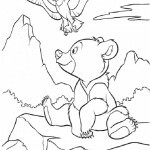 And now you can give this bear some color in our coloring pages! 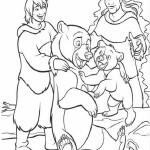 Now that you’ve read all about Brother Bear, it’s time to scroll down to start coloring!